is powered by ARM® big.LITTLE™ technology, the Heterogeneous Multi-Processing (HMP) solution. The XU4 is fully software compatible with XU3! However, the XU4 is more compact, more affordable and more expandable. 1. 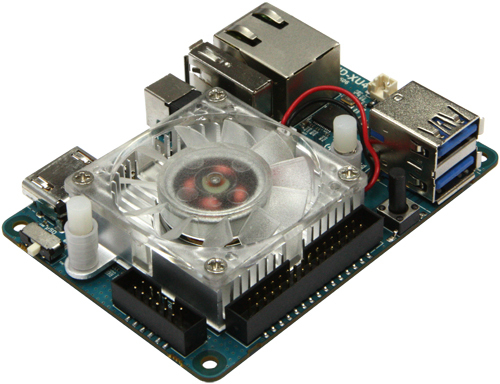 The active cooling fan is mounted on the XU4 board by default. It spins only when the CPU load is high and the temperature of the CPU hits a minimum threshold temperature. Like most fans, a slight hum can be expected when active. We ran several benchmarks to measure the computing power on the XU4. 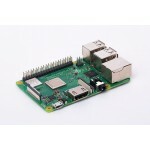 The same tests were performed on the Raspberry Pi 2 Model B, ODROID-C1, ODROID-U3 and ODROID-XU4. The values of the test results were scaled uniformly for comparison purposes. 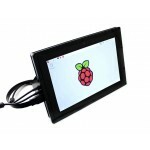 The computing power of the XU4 was measured to be ~3-4 times faster than the latest Raspberry Pi 2 thanks to the 2Ghz Cortex-A15 cores and much higher memory bandwidth. Using the XU4 as a computer provides a "desktop like" experience, unlike the sluggish performance of most single-board computers! Particularly for developers, compiling code on the XU4 is about 3 to 4 times faster. The high-performance 2GB DDR3 RAM is an additional advantage allowing most programs to be compiled directly on the XU4. The XU4 can boot from a MicroSD card or an eMMC module. 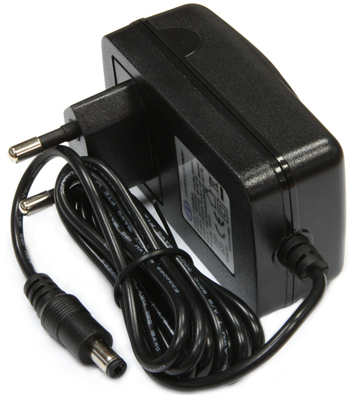 An easy-access hardware switch is provided to select the boot interface (MicroSD/eMMC). The MicroSD interface supports the higher performance UHS-1 mode as well. File access of a 512MB file (read/write) on three different storage options shows distinct performance differences. The eMMC 5.0 storage is ~7x faster than the MicroSD Class-10 card in read tests. The MicroSD UHS-1 card is ~2x faster than the MicroSD Class-10 card in read tests. The MicroSD UHS-1 card provides a great low-cost option for many applications! The XU4 has two standard-sized USB 3.0 SuperSpeed host ports. To measure the USB 3.0 performance, we connected an SSD via a USB-SATA bridge. We used the Toshiba SSD HDT312 128GB model for this test. USB 3.0 read access speed is ~5x faster than USB 2.0 on the XU4! The XU4 has an on-board Gigabit Ethernet controller. Our bi-directional streaming speed was measured at ~880Mbps. Thanks to the advanced technology of the RTL8135 controller, the XU4's Ethernet controller easily outperforms the connectivity solutions of prior generations. These days, network storage applications like NAS and cloud services are popular. We ran the famous OMV (Open Media Vault) OS on the XU4 to measure network storage performance. An SSD was connected to the XU4 via a USB 3.0 to SATA bridge. The Gigabit Ethernet port was connected to a Windows 8 PC via a simple switching hub. We sent a big 1.6GB file from the XU4 to the PC via a Samba connection. This resulted in a download speed of ~75-85MB/sec. The upload speed was measured at ~70MB/sec. Even though this performance is great, we are working on optimizing it even further. The XU4 is a great solution to make a DIY personal cloud storage server! 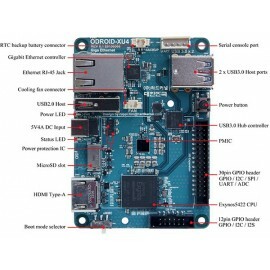 The ODROID-XU4, equipped with four big cores (ARM® Cortex® -A15™ up to 2.0GHz) and four small cores (ARM® Cortex® -A7™ up to 1.4 GHz), provides improved processing capabilities while maintaining the most efficient power consumption available. 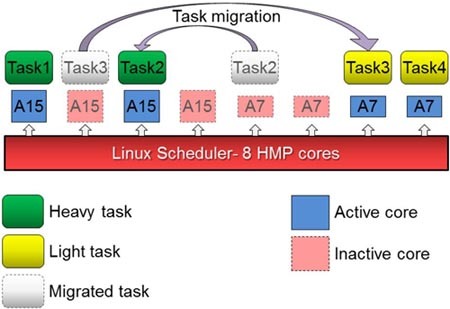 With the big.LITTLE™ HMP solution, the Exynos-5422 can utilize a maximum of all eight cores to manage computationally intensive tasks. 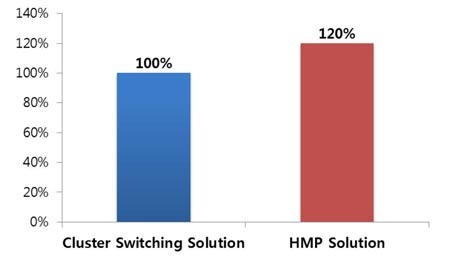 * Performance comparison between Cluster switching solution and HMP solution. The ARM® Mali™-T628 MP6 GPU offers key API support for OpenGL ES 1.1, OpenGL ES 2.0 and OpenGL ES 3.0, OpenCL 1.1 Full Profile and Google RenderScript. Mali-T628 is the GPU of choice for use in the next generation of market-leading devices, optimized to bring breathtaking graphical displays to consumer applications such as 3D graphics, visual computing, augmented reality, procedural texture generation and voice recognition. 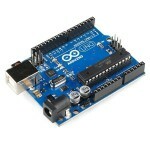 You can download the full featured OpenGL ES and OpenCL SDK from ARM Mali Developer website. It's free! This screen-shot shows OpenGL-ES applications and the Kodi media player with Ubuntu 15.04 Mate desktop on the HMP enabled Kernel 3.10 LTS. Android 5.1 is available as a community driven OS development. Full source code is accessible via our Github. 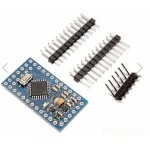 8GB eMMC Module XU3 / XU4 Linux for ODROID-XU3 and XU4 Pre-installed XUbuntu 15.04 or latest version for ODROID-XU3 and XU4. ..
ODROID-C2 The ODROID-C2 is a 64-bit quad-core single board computer(SBC) that is one of the most cost-effective 64bit development boards available in the ARM world. 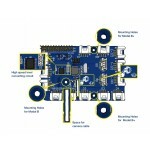 It can function..
ASUS Tinker Board (Quad Core / 2GB / Giga LAN / WiFi / BT4.0) Tinker Board is a Single Board Computer (SBC) in an ultra-small form factor that offers class-leading performance while leveraging outs..
Orange Pi Plus2E (16GB EMMC/ 2GB RAM / WiFi) It’s an open-source single-board computer. 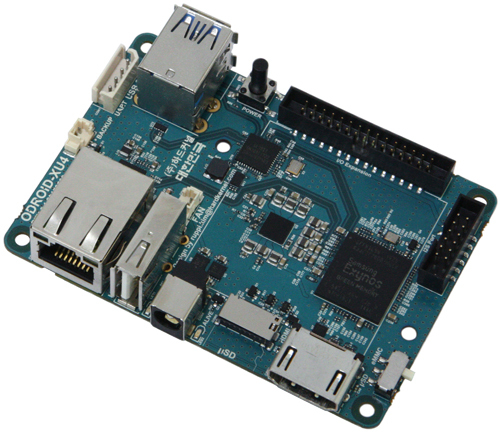 It can run Android 4.4 , Ubuntu, Debian, Rasberry Pi Image, it uses the AllWinner H3 SoC, and has 2GB DDR3 SD..
BananaPi M3 (Octa Core / 8GB / 2GB / WiFi / BT) Banana Pi M3 is a super charged single board computer with an Octa-core processor and 2GB of RAM. 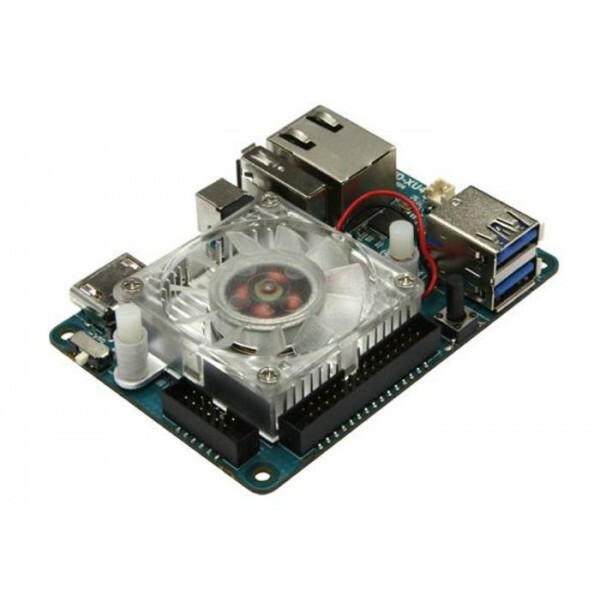 Along side the elite processing unit, it features G..
ODROID-HC2 : Home Cloud Two KitKit includesOdroid HC2 (Single Board Computer)12V / 2AMP Power SupplyBlack Case16GB Class10 SD Card (OS of your choice need to be downloaded from https://wiki.odroi..
JETSON NANONVIDIA Jetson Nano enables the development of millions of new small, low-cost, low-power AI systems. 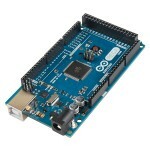 It opens new worlds of embedded IoT applications, including entry-level Network Video Re..